What Makes Us the Best Insurance Company in Marysville, WA? Saving money is important to most people no matter where you are in the world. Buying insurance is no exception. You will have a lot of options available to you when you start shopping, but here are 5 reasons why we here at American Insure-All® are the best Marysville insurance company to work with. We may be a nationwide company with over 50 locations throughout the country, but when it comes time to file a claim, we will be there for you. You will be able to reach a person quickly and get what could be a complicated situation all straightened out. Almost every one of our customers have saved money. Of all of our clients, 97% of them have saved money on their insurance premiums. When you choose to work with us, you choose to cut a little off your expenses each month. There are a lot of insurance companies in Marysville and elsewhere that specialize in just one type of insurance, such as homeowners insurance or auto insurance. However, we provide a number of different insurance options, including bonds and insurance for your toys like four-wheelers. We have over 50 locations throughout the country so if you are looking for an insurance agency that can provide you with personal service but actually have someone physically there for you when you need it, we are the clear choice. There are a lot of nationwide companies out there, but they do not provide an agent for you who you can meet with face to face to discuss your situation and your claims. 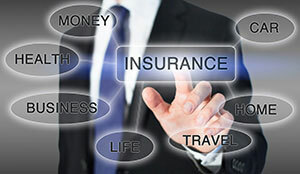 We have been in the insurance business for several years. When you are looking for an insurance company, you want to find a company that has a longstanding reputation in the area, which we do.